The Minnesota finish up a two-game road trip on Tuesday when they travel to take on the Atlanta Dream in Atlanta. The Lynx come into the game at 20-3 overall and sit atop the WNBA standings. The Dream enter at 10-15 on the season and are tied for eighth place in the league. Minnesota will wrap up their current road trip, returning back home on Thursday to face the Los Angeles Sparks in St. Paul. 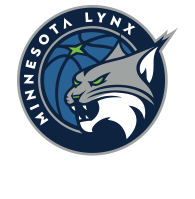 Also during that game, the Lynx will unveil their new logo. 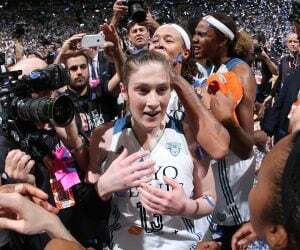 The Lynx look to complete the season series sweep against the Dream. Minnesota is 2-0 in meetings this season. Minnesota is 8-2 overall in its last 10 games. Atlanta is 3-7 during that same span. Minnesota is coming off of an 84-82 loss to the Indiana Fever on Sunday in Indiana. Maya Moore led the Lynx with 28 points and six rebounds to lead the Lynx. 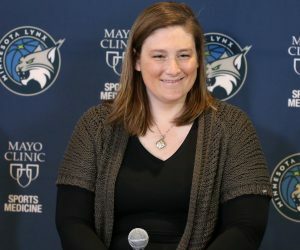 Seimone Augustus had 16 points, four rebounds and four assists, Rebekkah Brunson had 15 points and 12 rebounds, Plenette Pierson had eight points and Sylvia Fowles had six points and eight rebounds. Atlanta is coming off of a 91-86 loss to the Chicago Sky on Saturday in Chicago. Tiffany Hayes and Brittney Sykes had 13 points each to lead the Dream. Elizabeth Williams had 11 points and 12 rebounds, Tamera Young had 10 points off the bench and Layshia Clarendon and Imani Boyette had eight points each. Minnesota holds a 2-0 season series advantage over Atlanta this season, with the last matchup coming last Thursday in St. Paul. 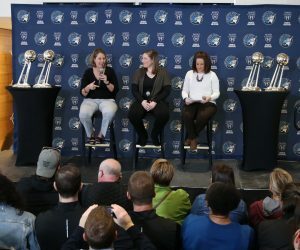 The Lynx came away with a 69-54 lead after outscoring the Dream 23-2 in the fourth quarter. 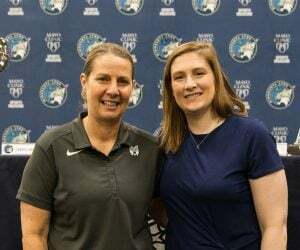 In that game, Fowles had 25 points and 13 rebounds, Moore had 15 points and five rebounds, Brunson and Whalen had eight points each and Renee Montgomery had five points and seven assists for the Lynx. For the Dream, Clarendon had 18 points and five assists, Sykes had 12 points, Hayes had 10 points and seven rebounds and Williams had four points and four rebounds. Tuesday’s game is the third and final matchup between Minnesota and Atlanta this season. One matchup to watch out for in Tuesday’s game will come between Minnesota’s Maya Moore and Atlanta’s Tiffany Hayes. Since the All-Star break, Moore has been playing well. In five games, she is averaging 22.2 points, 4.4 rebounds, 3.2 steals, 2.8 assists. On the season, she is averaging 17.1 points (10th in WNBA), 5.6 rebounds, 3.6 assists and 1.9 steals (2nd in WNBA). This season, Hayes is averaging a team-high 16.6 points (12th in WNBA), 4.3 rebounds, 2.6 assists and 1.4 steals (11th in WNBA) per game. Atlanta: Angel McCoughtry (personal reasons) is out. Minnesota: Whalen (left hand) is out.